When researchers examined information on pairs of kidneys from the same donor in which 1 kidney was used but the other was discarded, the kidneys that were used tended to perform well even though they were similar in quality to their partner kidneys that were not used. 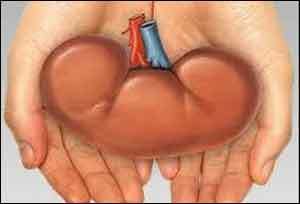 The findings, which come from a study appearing in an upcoming issue of the Clinical Journal of the American Society of Nephrology (CJASN), provide further evidence that many of the donated kidneys that are discarded are in fact suitable for use. After analyzing information on 88,209 donors (176,418 kidneys), the researchers found that although the discarded kidneys in these pairs frequently had traits that are typically considered unappealing, the partner kidneys that shared many, if not all of the same traits performed well after being used for transplantation despite being used in older recipients with more medical problems. “We, therefore, concluded that many of these discarded kidneys were in fact quite usable, and that systems-level changes are needed to encourage better utilization of this valuable but scarce resource,” said Dr. Husain. In an accompanying editorial, Matthew Kadatz, MD and John Gill, MD, MS (University of British Columbia) noted that the study provides compelling evidence of the need for policy change to ensure that all safely transplantable kidneys are used for transplantation. “The current discard of kidneys would be hard to explain to the families of deceased donors and is a disservice to the thousands of older age and diabetic wait-listed patients who would benefit from transplantation with these higher risk kidneys and who have consented to receive them,” they wrote.